To all those beautiful people around the world, who love and appreciate our wildlife: please donate generously this Christmas. The festive season is a difficult time for us due to decreasing donations. We rely 100% on the generosity of the public to be able to run our wildlife hospital. 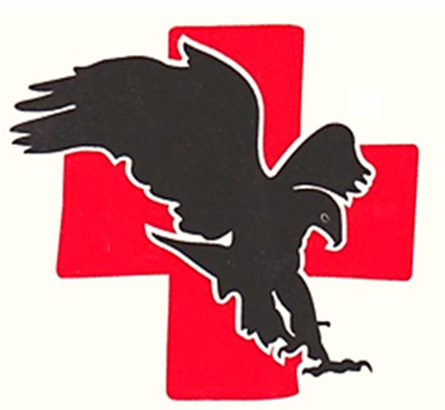 Eagles Nest needs your support to fund ongoing costs this Christmas for maintenance of enclosures & care of all animals. Please help if you can. Any donation, large or small, is much appreciated and every dollar helps! Thank you for your support on behalf of all possums, gliders, raptors, snakes, birds, owls, dingoes, wallabies, roos & bats in our care! Meet the Little Red Flying Fox (Pteropus scapulatus): a species of Megabat native to northern and eastern Australia. It is the smallest Flying Fox currently on mainland Australia, weighing only 300-600 grams. This poor guy was found caught on barbed wire. He is the 6th one to be brought into our care this week! This bat has sustained serious injuries to his wings (holes and tears) which may heal (partly or fully) with some much needed rest. The wing tears can possibly be repaired by a vet. To complicate matters, the bat has also been left fully exposed to the hot Australian sun for an unknown amount of time and we are not yet sure how badly this has affected the bat. It is now resting in a large, leafy enclosure and we are monitoring its food intake daily. We’re not yet sure if he’s going to make it, fingers crossed! Barbed wire poses a huge threat to many native animals, who become entangled when they do not see or can’t clear a barbed wire fence. 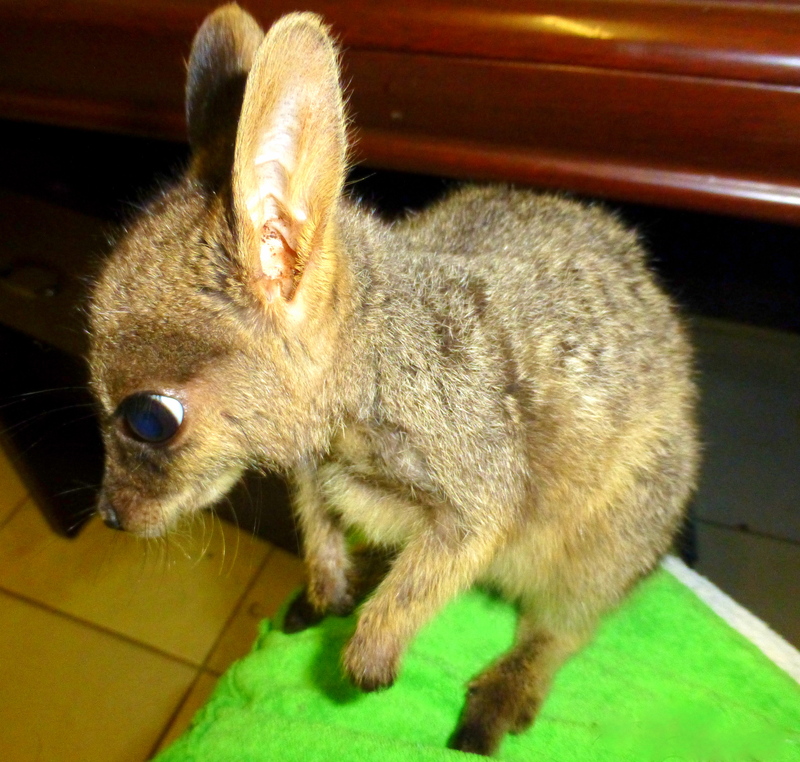 ArkAid Wildlife Hospital in the Northern Territory has written a great informative post about this and HOW YOU CAN HELP TO CHANGE THIS. 1. Call your local wildlife rescue centre: leaving the rescue up to someone experienced will reduce the risk of injury to yourself and further injury to the animal. 2. Provide the animal with shade. 4. Never handle a bat unless you are an experienced carer, especially not with your bare hands! This is not only for your protection, but also for the bat’s! 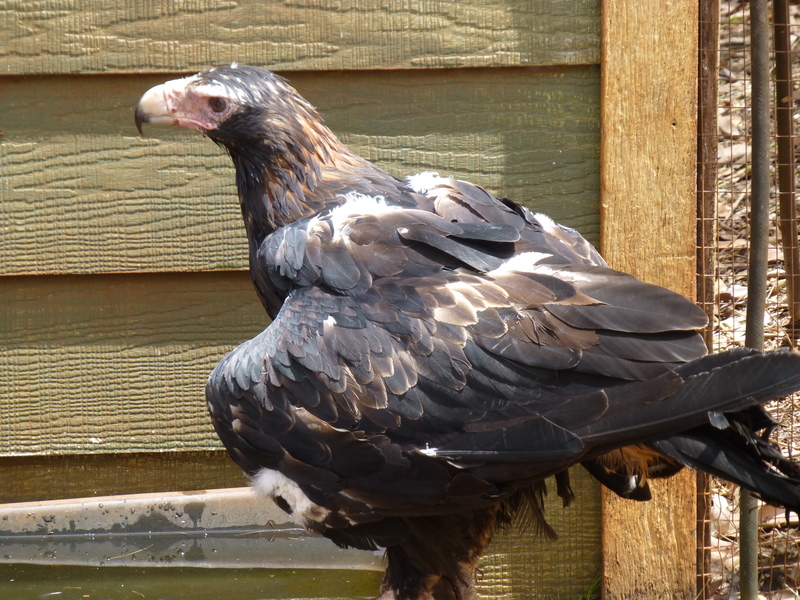 We have a few magnificent Wedge-Tailed Eagles (Aquila Audax) in at the moment. Truly spectacular, being the largest bird of prey in Australia, they are recognizable by their characteristic wedge shaped tail. Wedge-Tailed Eagles are highly aerial, soaring for hours on end without wingbeat and seemingly without effort, regularly reaching 1,800 m and sometimes considerably higher. Their choice of prey is very much a matter of convenience and opportunity, which means fresh road kill is high on the menu. Sadly, most of the Eagles that come into our care have been hit by cars and face a long, painful recovery as a result of this. We urge everyone to please remove any road kill off the road, to protect any birds of prey feeding. Never approach an Eagle as they are easily frightened and take into account that due to their heavy weight (up to 6kg!) they need a bit more time to take off than other birds! Thank you to all volunteers who have recently helped repair the Eagle enclosure. The Eagles are very pleased with their new perches…. This beautiful pure dingo pup was surrendered to us yesterday. The pup is underweight and had a few ticks, but otherwise appears in reasonable health. We are unsure what happened to its mum & dad. 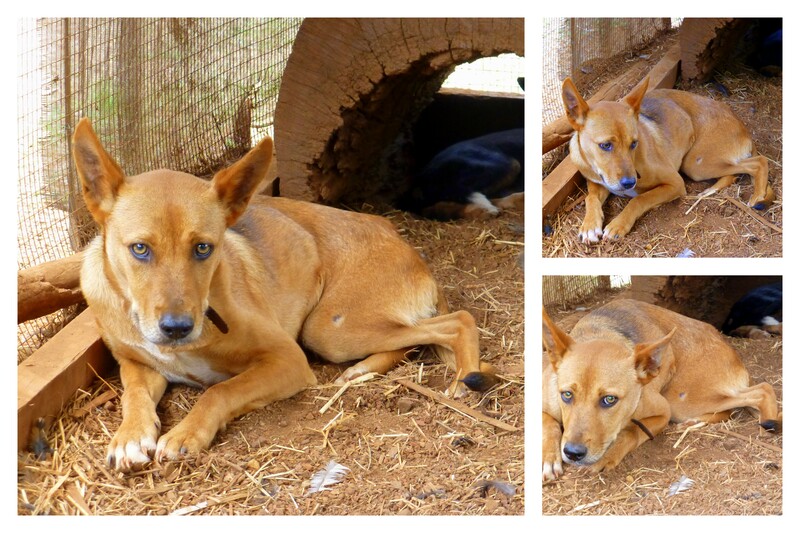 It was a bit frightened on arrival, as every dingo pup should be of humans! After giving him a thorough check over, we let him settle in for the night in a cosy pen where he could hide away in a little dingo house beneath a blanket. He is eating and drinking like a champion and seems much more settled this morning! After he has regained his physical strength (this will take several weeks of good feeds), we are going to try to introduce him to some of the other dingos on the property….to be continued! The tawny frogmouth (Podargus strigoides) is a species of frogmouth native to Australia that is found throughout the Australian mainland and Tasmania. Tawny frogmouths are big-headed stocky birds often mistaken for owls due to their nocturnal habits and similar colouring. This incredible photograph was taken by one of our young volunteers Emily Gage. The frogmouth was brought in a few weeks ago and was possibly hit by a car. He may have some brain damage or a bad concussion. His main problem at the moment is, that he’s not eating unless we hand feed him! We are trying ongoing to teach him to feed himself. This is a long process which requires a lot of time and patience! We hope to be able to release him back to the wild as soon as he is feeding himself again. Fingers crossed he will get the hang of it again soon! We have seen no decrease in the numbers of birds of prey being hit by cars…Just in the last month we have received in a Boobook Owl, Black Shouldered Kite, Sparrowhawk and four Wedgetailed Eagles! It is so important that everyone make an effort to pull over and remove fresh roadkill from the roads, just throwing them a couple metres (after checking the pouches that is) into the bushes can help save lives! Many birds of prey are hit while trying to feed on road kill, people do not slow down and respect these birds need a couple extra seconds to get off the ground! Thankfully to balance the incoming numbers of raptors, we have recently released five kites, a goshawk and an owl…Hopefully they have better luck with this second chance! Our hopelessly in love Sulphur Crested Cockatoo, Charlotte, and Galah, Pinky, took their rehabilitation to a whole new level in producing fertile offspring together! 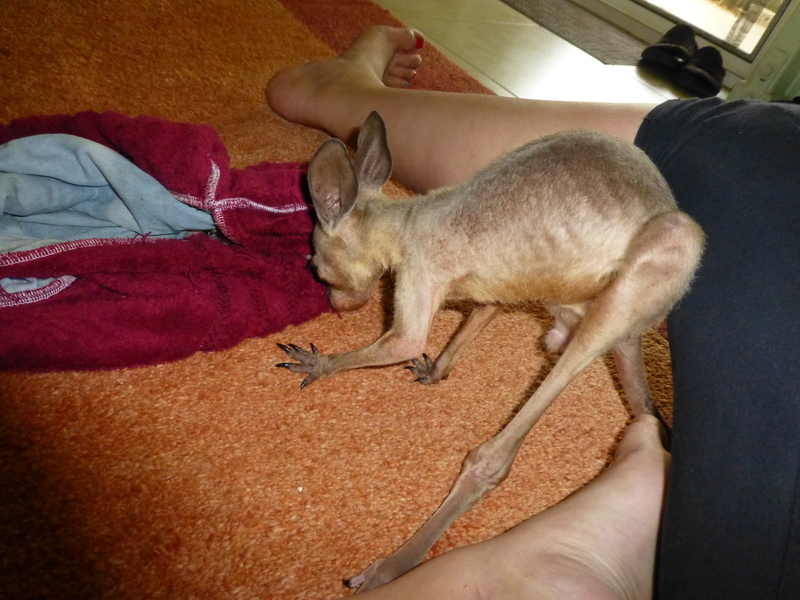 The odd offspring, which have been dubbed ‘Cockalahs’ have recently moved out of the nest permanently and are now exploring and self feeding as young adults…Though they stick close to their protective parents and still occasionally beg for some food…But the young Cockalahs are very healthy and have suprised everyone who has seen them! Both Cockalahs, from the same clutch, look completely different to one another, and are still too young to see if they will change colour with age as Galah’s do…One even looks like a giant Galah sized Cockatiel! Ours however, were a bit of an accident with the parents bonded with one another by love and not for the sake of breeding! More coming in by the day! 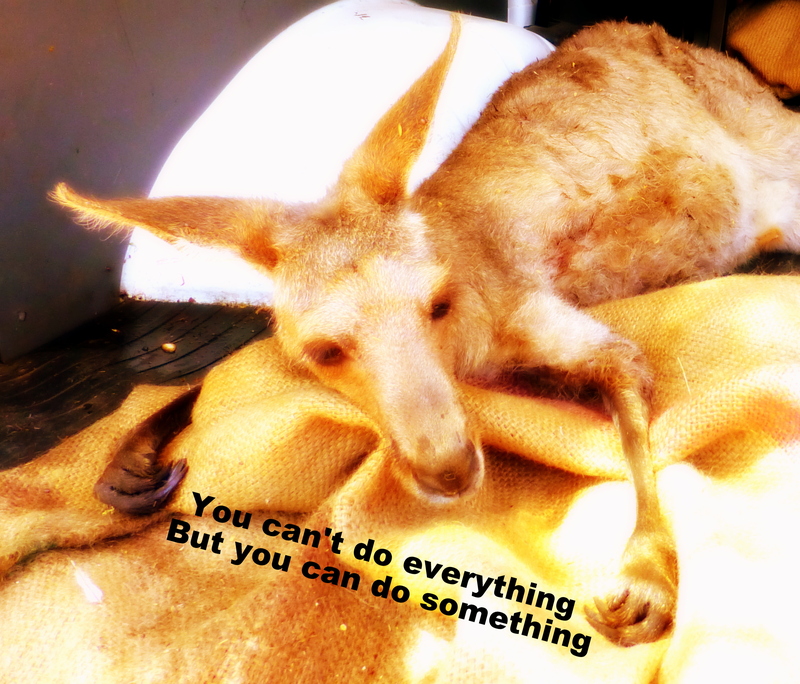 Please remember when out and about to always pull over and check the roadkill for orphaned joeys in the pouches! Then help the survival of carnivorous animals by moving the roadkill into the bushes to prevent birds like Eagles and Kites, and animals like endangered Quolls from being hit on the road while feeding. Just by doing this very simple thing, you can help save so many lives! ‘Sorry’, I can’t express how wonderful it is to spend time with him. Our little man, our little fighter. I smiled for hours afterwards seeing him take his first wobbly steps, how it melted my heart, this was such a wonderful gift it was on Valentine’s Day. Thank you to Jennifer Parkhurst – lovely video, lovely message. ‘Hi Harry, i have posted a video on my you tube channel for you to thank you for all the work you have done for our Australian wildlife. I hope you enjoy… love Jen. Millie, our bubba girl, is finally starting to leave the nest. She’s out and about sometimes all day, sometimes all night, but still comes back home for the morning ritual. 1. Millie hisses as soon as you walk in the door then she jumps on the bench. 2. Tired and wobbly, someone cuts sweet potato for her as she’s bouncing around you in excitement. 3. Millie eats a ridiculous amount of sweet potato, whilst coffee is made. 4. Millie falls asleep in the palm of your hand, tired from her midnight adventures. Millie will be dearly missed when she completely goes out on her own. One thing’s for sure, she is a one of a kind. This is our new little man, brought in from Mount Garnet Area. Because of the cruel actions by a few young kids, this Dingo-x is permanently disabled. First he lost his mother and siblings, they were all shot to death. He had been living close to where he was born and had never caused the station owner any hassles. A few idiots decided they would chase him down on a quad bike for fun. His hip had either been broken or severely dislocated by the force of the collision. A lovely young lady took him under her wing and cared for him for four weeks until she decided he would have a much safer life here at Eagles Nest. Because his hip was never professionally treated, it has healed in the wrong spot. To fix the damage would take major surgery and would put his life at risk. Currently it does not seem to cause him pain. He is a sweet little guy although he is very scared. He has made a few new friends here and has settled in nicely. Something that all Dingo lovers wish for is for everybody to just accept them. Thoughtless murder and cruelty deserves justice. The groups that are fighting for this right, and Dingo rights, please don’t ever give up. Ollie is sponsored by a long time supporter of Eagles Nest. Through sponsorship you can help give an injured, sick or orphaned animal the best quality of care. 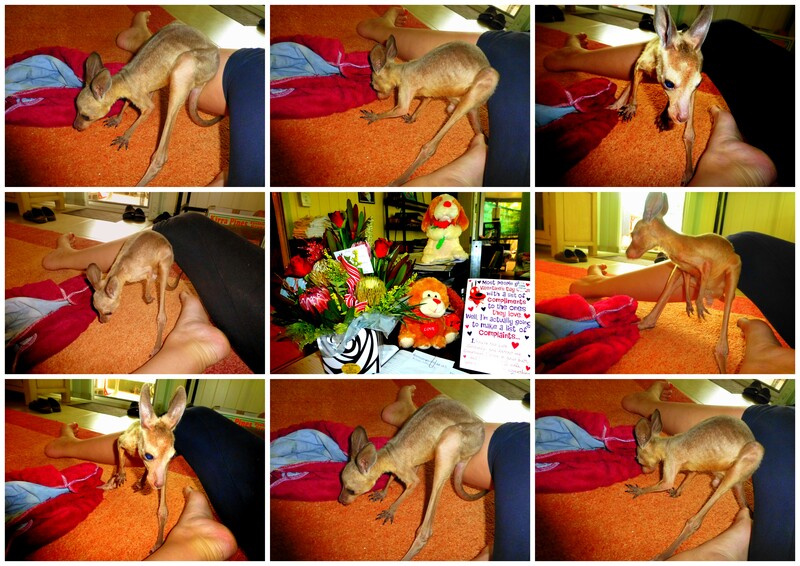 Ollie is permanently disabled and is unable to be released, the lady that sponsors him named him after her husband. Her support towards Ollie is greatly appreciated.